Chinatown in Newcastle is this year preparing to usher in The Year of the Goat as the Year of the Horse comes to an end. Lying to the west of the city, Stowell Street in Newcastle is at the heart of Chinatown and is one of only a few UK city centre Chinese communities outside of London. The entrance to the area is marked by by a grand Chinese Arch and community leaders have hosted many Cninese New Year celebrations in conjunction with Newcastle City Council, making it a firm favourite on the region's festival calendar in recent times. 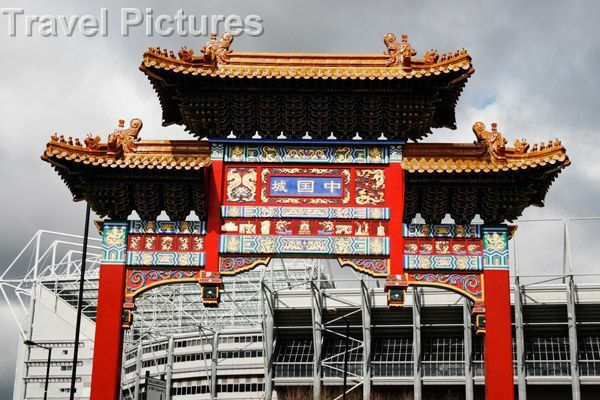 Festivities for Chinese New Year 2015 in Newcastle are on Sunday 22nd February from 11a.m. - 4p.m. In Newcastle, local schoolchildren take part in the Lion and/or Dragon Dances while the crowd enjoys a spectacle of colour – the Dragon Dance, one of China's most ancient traditions, that represents the undulating movement of the river, which brings fertility to the land and, bringing prosperity. Meanwhile firecrackers and loud noises are a traditional feature and are said to scare off ghosts, while the colour red is worn for luck. Celebrations usually take place on the Sunday closest to the acual date of the Chinese New Year, which this year is 19th February and in China is it is a major holiday for Chinese workers. As it is based on a Lunar calendar, the date of the festival varies but it usually falls around the end of January up until mid-February. The Year of the Goat/Sheep/Ram are terms that appear to be interchangeable in the Chinese Zodiac, which has a twelve year cycle, each one named after an animal and representing different characteristics as symbolised by that animal - the Goat signifies a period of harmony calmness and solidarity - which is something we could all do with right now. So even if you don't believe in all this stuff it's definitely something worth aiming towards. In terms of human personality traits, a person born in the Year of the Goat is warm, kind-hearted, clever, quite shy and appreciates the finer things in life such as art. 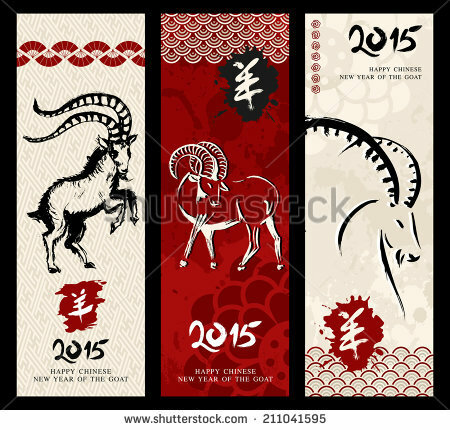 Click here for a list of personality traits and years of birth for 'The Year of the Goat/Sheep/Ram. Since being a child, I've had a fascination with China and oriental culture and was fortunate enough to visit China several years ago with my husband Colin when we celebrated our 25th Wedding Anniversary and to be there to witness the May Day celebrations in Tiananmen Square, another major festival in the Chinese calendar. Newcastle's Chinatown is lined with Chinese restaurants such as the 200 seat Chinese Buffet, Lau's Buffet King, which allows you to try a little bit of everything and impress others with your chopstick skills. There's also such delights as oriental supermarkets and a cultural centre if you want to learn more about arts and crafts, Chinese calligraphy, costumes and much more. So expect, firecrackers, music, dances, food samples and displays. It's a great chance to see a homegrown version of some ancient traditions from a far away land. Stowell Street is in easy walking distance of Newcastle Central Station for mainline and metro services. My mum's the year of the sheep. According to that webpage, she has all the weaknesses strengths, but none of the characteristic weaknesses.